We offer a wide variety of entertainment furniture for your home or business! Our Pine Wood 60" Plasma TV Stand is the perfect economical choice for your plasma television of standard television. There is also extra media storage space in this pine wood tv stand. 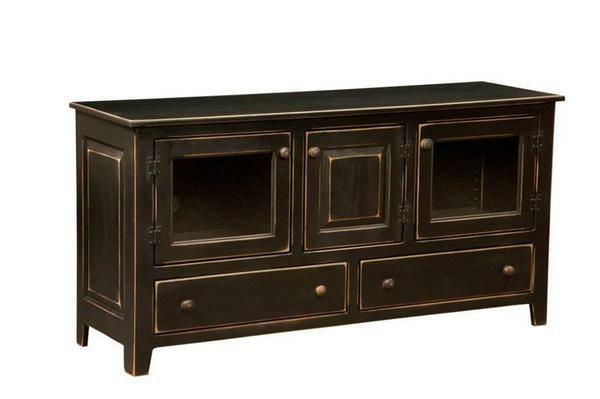 This Amish handcrafted tv stand features three adjustable shelves behind the cabinet doors. Please call 1-866-272-6773 with questions or ordering assistance. Our Amish furniture specialists are happy to assist our customers in anyway that they can.